Hours of entertainment at school. This exciting ball maze offers endless opportunities for free construction and child-led learning. 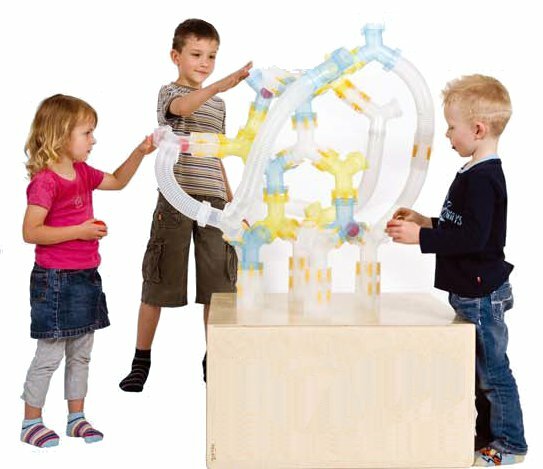 Children construct the ball maze in any configuration they choose, then add the balls and watch them travel through the transparent maze. Set includes 35 maze pieces in assorted shapes, 160 connectors, 6 balls and a storage container. Very easy for children to assemble. 202 pieces, for ages 3yrs+. Plastic container with 200 pieces to be joined.